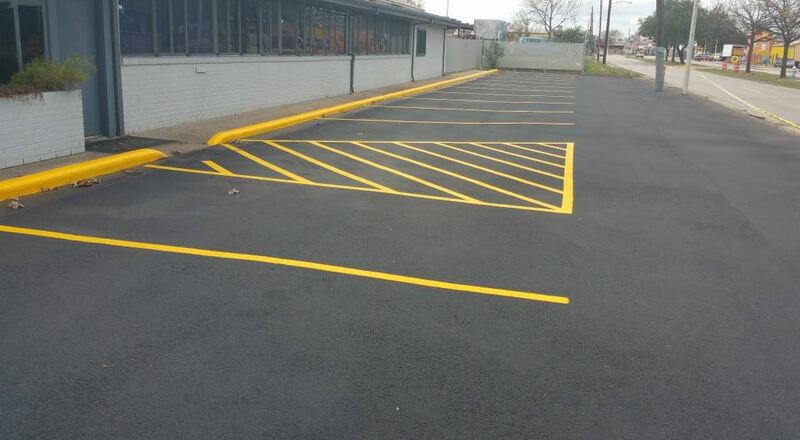 ​Need a hand with paving or sealcoating an old parking lot? Maybe it's repaving a driveway or filling-in a pothole? Our company services Hampton VA and we are the best paving contractors in the area, working at very affordable prices. Need a FREE estimate? Call (757) 364-0371 and schedule it today! If you own a driveway, parking lot or any other type of paved surface in Hampton, VA, you'll need to do all that you can to keep it in great shape. Keeping these surfaces in tip-top condition requires you to learn as much as you can about maintaining them, in order to keep them protected and prevent unnecessary damage. If this is something that interests you, the following tips will be very useful and will help you maintain these surfaces to the best of your ability. Start out by implementing the tips below and be sure that you get in touch with a paving company that can help you. #1: Get inspected on a regular basis. If you need any sort of paving work done, the best thing you can do is regularly inspect your surfaces. Doing that will make sure that you are not leaving anything undone and are not allowing aging to get out of hand. A paving contractor will be able to provide you with an inspection on a regular basis, but you should definitely get one, at least once every couple of years or so. By hiring a contractor for an inspection, you'll stay up to date with the condition of your blacktop. #2: Invest in a seal coating as part of maintenance. One thing you can do to really make sure you are protecting your pavement is to apply a seal coat. Sealcoat is something that gets sprayed or rolled-on in order to prevent damage from breaking-in and giving the blacktop a seriously hard time. Sealant acts as a barrier to any outside moisture, dirt and elements that will wear down the paved surface and it's foundation. The coating shouldn't cost any more than a few hundred dollars and will be one of the most important investments that you could ever make into the asphalt's longevity. #3: Avoid using sharp tools and heavy machinery. When it comes to care, it's also all about what you avoid. For example, you should avoid using sharp tools. When you use a heavy shovel or any other tools, you will be wearing down the building blocks and making it difficult to keep the surface smooth and in great condition. You will be leaving yourself open to chipping and cracking, which will make it wear down and create a significant amount of damage. By doing your best to avoid this, you will have the opportunity to keep all of your pavement at its best and will not create any sort of unnecessary damage to it. #4: Freshen it up with paint and regular cleaning. There are many contractors in Hampton you can reach out to, that can provide you with regular maintenance. For example, if you have a parking lot, you will need to regularly re-paint it so that you increase lane visibility for drivers. There are also many ways to clean the surface so that you are not letting oil spills and dirt create undue damages. This maintenance will make all the difference in the world and help your pavement last a long time. #5: Do your best to prevent potholes and stains. Take potholes, cracks and stains very seriously. Any time that you notice a problem arising, you need to do everything that you can to fix it at once. It is better to pay $300 or so to fill a small pothole now, been let it get worse and cost you several hundred dollars or a few thousand later on. Preventative maintenance is key, so always stay aware of these problems. #6: Make sure that you are always working with qualified paving companies in Hampton, Virginia. Above all, get the help of ones that are licensed and insured. Asphalt contractors will give you thorough assessments of anything that you need and will provide you the opportunity to enjoy top-notch service and professionalism. Reach out to folks that provides great customer service at awesome prices and you'll always stay ahead. ​If you are looking for a reliable paving company in Hampton, call us at ​(757) 364-0371 or press the button below.